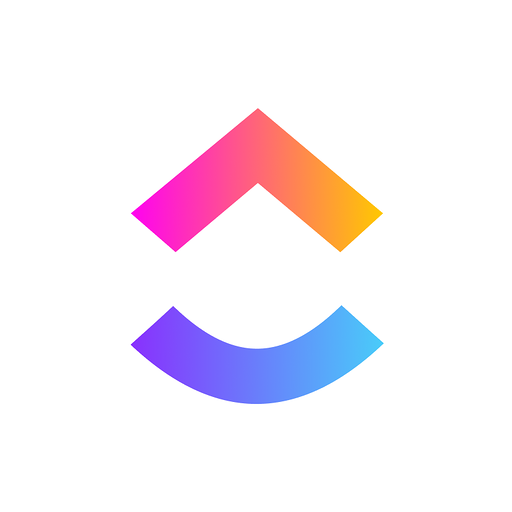 ClickUp is a beautiful productivity platform that allows you to get more done in your work and personal lives. ClickUp lets you: 1. 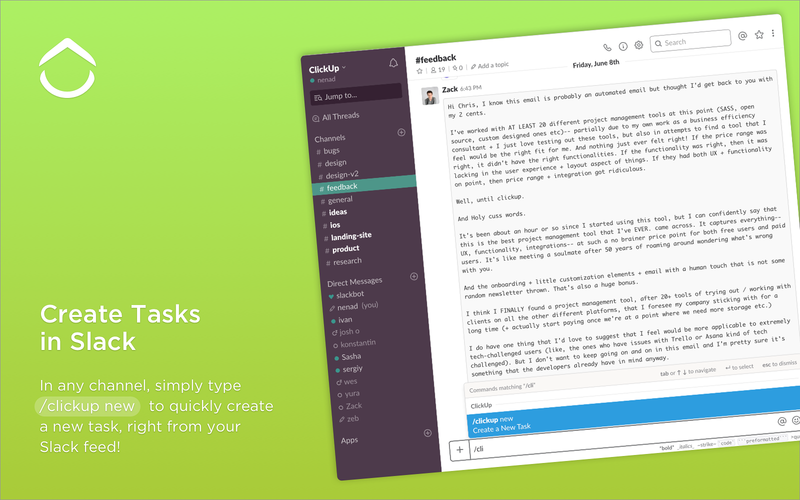 Slack Actions. Create tasks and comments from messages! Click the "more actions" option beside a message to select the ClickUp Assistant options.2. Commands. 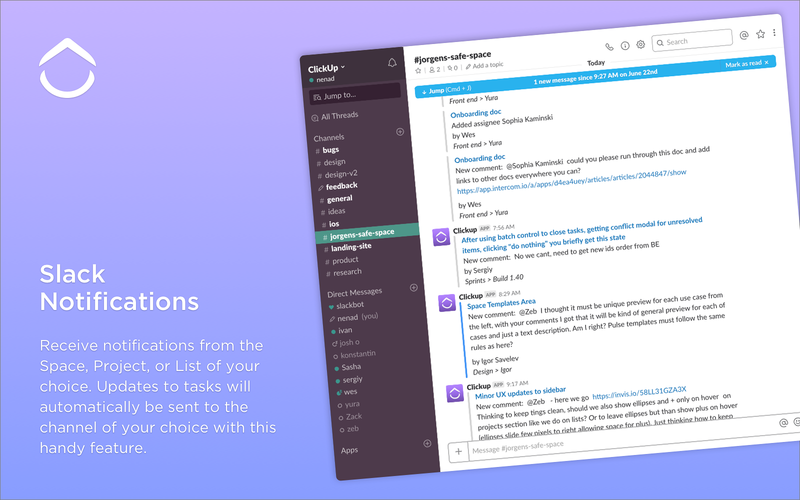 In any channel, simply type /clickup new to a new task, right from your Slack feed!3. Unfurl Tasks in Slack. When task links are posted in Slack, they'll be instantly enriched with detail, context, and the ability to perform actions with the task.4. Slack Notifications. Receive notifications from the Space, Project, or List of your choice. Updates to tasks will automatically be sent to the channel of your choice with this handy feature.The ClickUp Slack integration is available for all users. For more info or for help integrating Slack with your ClickUp Account click here. ClickUp will be able to view staging.clickup.co, clickup.com, and staging.clickup.com URLs to provide previews and other functionality. ClickUp will be able to access basic information about your public channels (including names, topics, purposes, creation date, and latest message). ClickUp will be able to add link previews for messages containing staging.clickup.co, clickup.com, and staging.clickup.com URLs. ClickUp will be able to view the email addresses of your Slack workspace’s members. ClickUp will be able to access basic information about your private channels (including names, topics, purposes, creation date, and latest message). ClickUp will be able to send messages to your workspace. ClickUp will be able to access profile information for all users on your workspace, including names and contact information.